Advanced practice registered nurses (APRNs) care for thousands of Massachusetts residents, including seniors, newborns, expectant moms, and mental health patients. Their specialized education and training prepare them to practice beyond the duties of a registered nurse. In the Commonwealth of Massachusetts, the Board of Registration in Nursing recognizes several APRN roles: Nurse Practitioner (CNP), Nurse Anesthetist (CRNA), Clinical Nurse Specialist (CNS), Certified Nurse Midwife (CNM), and Psychiatric Mental Health Clinical Nurse Specialist (PCNS). There are countless studies that confirm APRNs’ ability to deliver high quality and affordable care as they delivery much-needed relief to residents in rural communities. Yet, there are cumbersome barriers that prevent APRNs from operating to the full extent of their practice and training. Legislative barriers in Massachusetts are more restrictive than other states, posing a challenge to nurse practitioners and others APRNs. Nurse practitioners can practice without physician oversight but they must have a collaborative practice agreement with a physician to prescribe medication. In a general sense, the state recognizes nurse practitioners as primary care providers, which allows them to bridge the gap in health care caused by the shortage of primary care physicians. This allowance places Massachusetts in a position that is less restrictive than others, but the scope of practice is still not as extensive as some other states. In the revolutionary report, The Future of Nursing: Leading Change, Advancing Health, the Institute of Medicine presented a strong case for the nurses to practice to the full extent of their education and training. Massachusetts is an example of a state where this recommendation would relieve the burden on health care. In some counties where access to primary care is limited, patients are forced to wait upwards of 100 days to see a physician. Full practice for nurse practitioners will not only improve access but also reduce the ballooning costs of basic care. Registered nurses form the largest part of the health care workforce. They have constant direct contact with patients and do most of the heavy lifting in terms of patient recovery. Advanced practice nurses are a few steps beyond that of the registered nurse. Their training, even in the restrictive state of Massachusetts, ensures patients get the care they need through the delivery of high-quality care in the communities where they reside. APRNs receive their training at either the masters or doctoral level. The program must be approved by the Board of Registration in Nursing and accredited according to rigorous national standards. The curriculum builds upon the student’s former education and training acquired in the pre-licensure program, such as the baccalaureate degree in nursing. A key emphasis of pre-licensure programs is to prepare students to perform physical assessments. Graduate study goes further as students learn advanced health assessment, physiology/pathophysiology, and advanced pharmacology in preparation for the advanced practice role. Students also learn health policy, health care finance, research, organization of the health care system, ethics, theoretical foundations of nursing, professional role development, and health promotion and disease prevention. Additional study in preparation for role-specific activities is also a key part of the training and will vary according to the role and population. In addition to the theoretical skills, students will develop advanced critical thinking, assessment, decision-making, and diagnostic reasoning to become a nurse leader in the chosen advance practice specialty. Upon completion of the program, the graduate will be prepared to meet the health maintenance and health promotion needs of the patients they serve. They are skilled providers of care, capable of assessing and diagnosing acute and chronic diseases, delivering primary care, and managing the complex care of critically ill patients. Graduates must pass a national certification exam to demonstrate their role specific competencies. MSN programs in Massachusetts are available in convenient online or hybrid learning format to give nurses the flexibility to continue their education while balancing work and life commitments. Most of the coursework will be completed online. Clinical practice hours will be scheduled according to the student’s availability and will be conducted at community health facilities. Students who commit to full-time attendance can complete the program in just four to five semesters. RN to MSN: The RN to MSN program may be available as an upward mobility program, open to students who wish to advance their career from the RN to BSN to MSN degree. Students enrolled in the program have the option to exit at the BSN or continue on to the MSN. An alternative to the upward mobility program is the RN to MSN for nurses who hold a non-nursing baccalaureate degree who wants to advance their career through the completion of the masters of science in nursing. 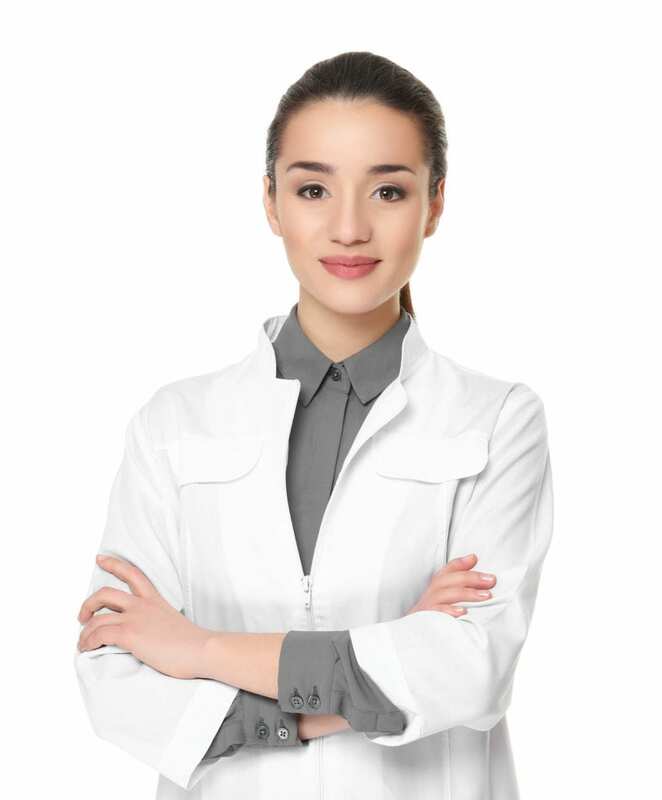 Direct Entry MSN: With the current demand for primary care providers, registered nurses can upgrade their skills and education to prepare for an advanced practice role. The direct entry MSN in Massachusetts prepares students to fill one of the five recognized specialty with additional emphasis in the population focus. Your choice of program will depend on your intended area of specialty. Upon completion of the program, you will need to sit a national certification exam to demonstrate your competency for the advance practice role. Post-Master’s Certificate: There’s a urgent need to advanced practice nurses who have the educational preparation in multiple specialties. The post-master’s certificate program affords students the opportunity to build on their clinical skills to assume another profession. Graduates will be prepared to sit a national certification exam for the new specialty role. A bachelor’s degree in nursing from an ACEN or CCNE accredited college or university or an associate’s degree in nursing or a bachelor’s degree in a non-nursing discipline. Official transcripts of all post-secondary education. The transcripts must be sent directly from the administering program to the university. A grade C or above in statistics. An active and unencumbered license to practice as a registered nurse. A grade C or above in all prerequisite courses. Two letters of recommendation and an interview with the program director. Hold current advanced practice certification by a nationally recognized certifying body that is approved by the Board. Current authorization from the Massachusetts Board of Nursing is required to practice as an APRN. The Board does not issue temporary authorizations. An APRN is only allowed to practice in the category for which is Board has authorized. The Massachusetts Board of Registration in Nursing has contracted with Professional Credential Services (PCS) for the processing of applications, forms and fees for APRN authorization. Applications for initial or reciprocal authorization must be submitted to PCS. Complete the APRN application in its entirety. It must be legible and submitted with the documents outlined below. Submit a copy of your Massachusetts Registered Nurse license. Submit a copy of your current advanced practice certification issued by a national certifying organization. Request a copy of your official transcript from the APRN nursing education program and have it sent directly to PCS in a sealed envelope. Consult the Good Moral Character Licensure Requirement Information Sheet before submitting your application if you answer “yes” to any questions related to good moral character. The Board will need to determine your compliance before issuing authorization for practice. Provide your social security number (SSN). The Board is required to obtain your SSN on behalf of the Massachusetts Department of Revenue. Enclose the application fee of $150. Pay via credit card using the authorization form included in the application package or using a money order made out to PCS. All fees are non-refundable and non-transferrable. After PCS receives the application and all accompanying documents and fee, the application will be processed within three business days. PCS will mail the Letter of Authorization within one week of approval. Electronic authorization will be sent to the Board and will be posted on the website within three business days for PCS authorization. To avoid delays in the processing of your application, make sure the application is completed in full and legible. Notify PCS if your address changes while the application is in process and provide your correct name and SSN on the application. If your Massachusetts RN license is due to expire within 90 days, you must renew early for the Board to issue authorization for APRN practice. Submit a copy of your Massachusetts Registered Nurse license. You must first apply for and receive Massachusetts RN licensure before applying for APRN authorization. Complete official verification of your APRN status from each state or jurisdiction where you’re authorized to practice. Complete the authorization portion of the form found in the application package and submit it with the enclosed fee to the Board of Nursing in the state of authorization. The Board must complete the form and mail directly to PCS on your behalf. APRNs have the option to apply for prescriptive authority – the authority to write prescriptions for medications. Applicants for prescriptive authority must complete training in effective pain management, the identification of patients who are at risk of substance abuse, and patient counseling. All APRNs, with the exception of Clinical Nurse Specialists, may register with the Department of Public Health Drug Control Program (DCP) and the Drug Enforcement Administration (DEA) for prescriptive authority. Applications are available online. It is illegal to write prescriptions for drugs or controlled substances before the state and federal registration are issued. Renewal of your APRN authorization may be initiated online or by post up to 90 days before it expires. The Board will send a reminder by mail. The authorization will expire on your birthday in even numbered years. You must maintain a current, valid Massachusetts RN license and national certification to renew your authorization. The renewal fee for APRN authorization is $180 and is separate for the $120 fee for renewing an RN license. It is essential that you hold current APRN certification to engage in advanced practice activities. If your certification lapses, you are no longer authorized to practice as an APRN and must inform the Board of Nursing who will set the authorization to expired status. APRNs must maintain their national certification to demonstrate their competence to maintain authorization and practice. The continuing education requirements will depend on the certifying agency. Contact your certifying body for more details. In addition to the certifying agency’s requirements, APRNs must renew their RN license, which will require completion of 15 contact hours of continuing education for every two-year renewal period. Prescriptive authority requires continuing education in effective pain management, patient counseling, and the recognition of at risk patients.